I don't blog/talk about religion much. While I don't think I've hidden the fact that I'm a Christian ever, I don't write Christian fiction because I find the expectations of that market to be too restrictive. I also don't feel I've ever been given a good "salvation" story, and while I might lightly touch on spiritual themes from time to time, I'm not going to force messages into my tales which I see as just "stories." That said, a bit ago my friend linked me a blog post by a Christian fantasy author who thought the turn from "evil dragon" fiction to "good dragon" fiction was an ominous sign. Her logic was partially that because dragons are used to describe the devil in a couple of places in the Bible, dragons must always represent evil. Yes, the dragon was used to describe the devil ... but so was a lion (the enemy is a roaring lion), yet lions aren't evil demons. They can even be tamed to an extent and have been used as representations of Christ. So either the Bible is inconsistent about lions ... or it is a metaphor and people can separate the aspects of a lion that are majestic and powerful from the fact that it is also a predator that can eat your face without demonizing what is essentially a dumb animal that really doesn't fit into theology as anything but a symbol. I feel the same way about dragons. So I think dragons are fair game whatever your theological/religious background. However, there has been a definite shift from "eat your face" dragons to "let's ride the dragons/free the dragons/love the dragons!" It's not an exclusively modern thing (The Reluctant Dragon was published in 1898. 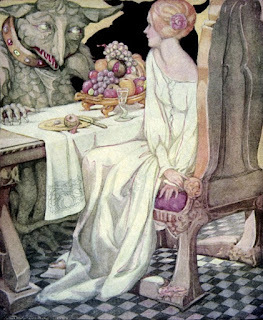 Nesbit wrote her Book of Dragons, including some friendlier ones, in 1901. ), but it has become more common. So why? What is it about the modern age where dragons are no longer horrifying monsters but instead majestic creatures worthy of admiration? I am not going to claim to have any sort of academic basis for this, but just my observations lead me to believe the shift is based on cultural changes, not necessarily bad ones, in how we relate to our world and how our world relates to us. To me this is the biggest reason why we no longer fight dragons. Though intelligent dragons and even dragon governments aren't unheard of, the dragon of lore is essentially a beast. A powerful, predatory beast (you don't find many vegetarian dragons), but a beast still. This essentially makes it a force of nature. For much of human history, people have felt bullied by nature. We were at the mercy of the weather, of crop failure, and of the teeth of the wild creatures of the forest. After all, humans are soft and squishy and taste good with ketchup. It took the invention of modern guns to tip things in our favor (which led to us getting carried away and the extinction of some species). So we no longer fear nature as we used to (because of our machines, our ability to predict weather, because we only see vicious animals behind cages and on Animal Planet). In fact, I'd say that most modern humans feel detached from nature and long to return to a place of communion with it. Add this to the ecological messages of the 90s movies a lot of modern writers grew up on, and it's really no surprise we identify more with heroes who protect animals rather than hunt them. 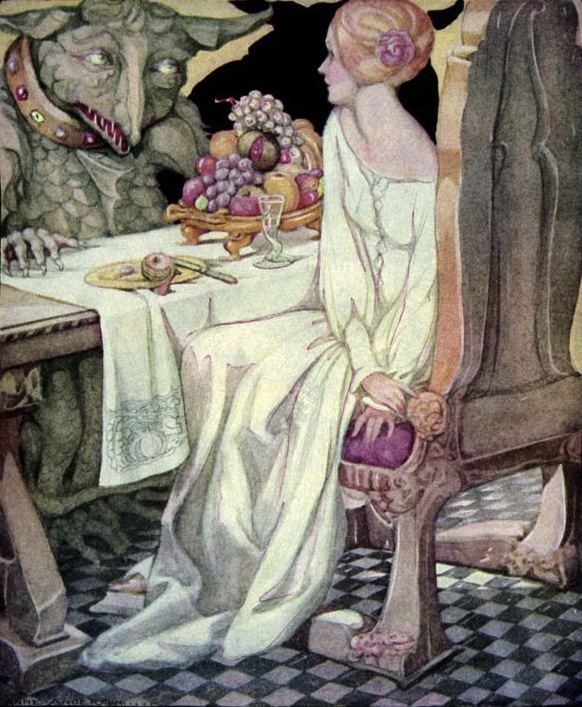 Another reason for the shift is traditional dragon stories are closely tied to the DiD (Damsel in Distress). Dragons kidnap, eat, and imprison maids (princesses, mostly, but not all are that particular). Knights fight dragons and rescue maids. This tried and true trope gives us two separate but equally important reasons for the shift. Our current literary climate prefers a "reverse trope" to the old standard. So much that it has in itself become a trope. Readers now expect female leads to pull their own weight and be more than pretty princesses. While sometimes this means they fight the dragon on their own, generally we end up seeing the dragon and maid fight against the society that treats one as a monster and the other as a possession. And I'm really fond of this reversal. I used it for my most popular set of books (The Dragon and the Scholar Saga). In some way it has become a trope of its own, so I wouldn't be surprised if we see a trend away from it as evil dragons become less common and therefore more "original" than friendly dragons again. Another reason, and one that I think is a good thing in a lot of ways, is the trend away from physical beauty=good. There has always been a theme to fairy tales of loving the unlovable (be it a literal Beast or a homely princess) being transformative magic. The girl loves the Beast or kisses the frog (or slams it against the wall. Ah, Fairy Tales ...), and suddenly he's a handsome prince. However, outward beauty being good is too "easy" and not reflective of how the world in general really works. 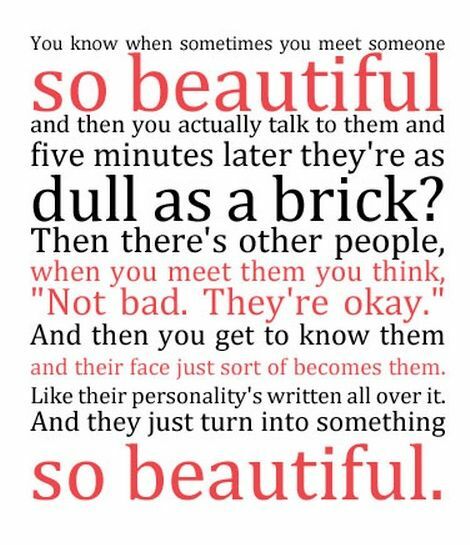 I'm sure we've all known people in our lives who were beautiful to look at but nasty to be around as well as plain sorts who could light up our lives with their spirits. When Christ came to earth, there is reason to believe that, physically, he wasn't much to look at (Isaiah 53:2). The reason I call this the "Shrek Effect" rather than the "Beauty and the Beast Effect" is because (while it is not by any means a great movie in my humble opinion. I wouldn't call myself a fan.) unlike the traditional tales where true loves kiss turns the ugly prince into something more visually appealing, Shrek made (and if someone can give me an example of this before Shrek, I will happily rename this "effect") the somewhat bold choice of having the kiss make Fiona an Ogre, physically unappealing, but beautiful in the eyes of her beloved. We can't help our looks. Sure we can diet, slather on makeup, get plastic surgery, but all that while not necessarily evil (Well, plastic surgery isn't something I'm a big fan of, but I can think of extreme cases where it would improve someone's quality of life) doesn't address the root problem which isn't with the "ugly" so much as with the need of society to put labels on something and give it value just because it looks a certain way. I use "it" rather than "he or she" here because it isn't just people. It's produce (there is so much food waste because food doesn't meet an aesthetic standard) ... pets (try to be an ugly dog in a shelter sometime) ... and yes, people. So yeah, I'm all in favor of the Shrek Effect because in real life, love does not remove scars or shed pounds. We may like the idea of true love's kiss making us drop dead gorgeous, but it's not how the world works, and it's not even what we should hold up as an ideal. True love sees past those things ... and while that being a physical change can be seen as a nice metaphor, the true change is always going to be on the inside. And if this means that we sometimes embrace a "loathsome dragon" so be it. 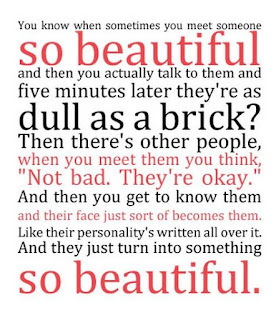 Amy Pond speaks truth here. 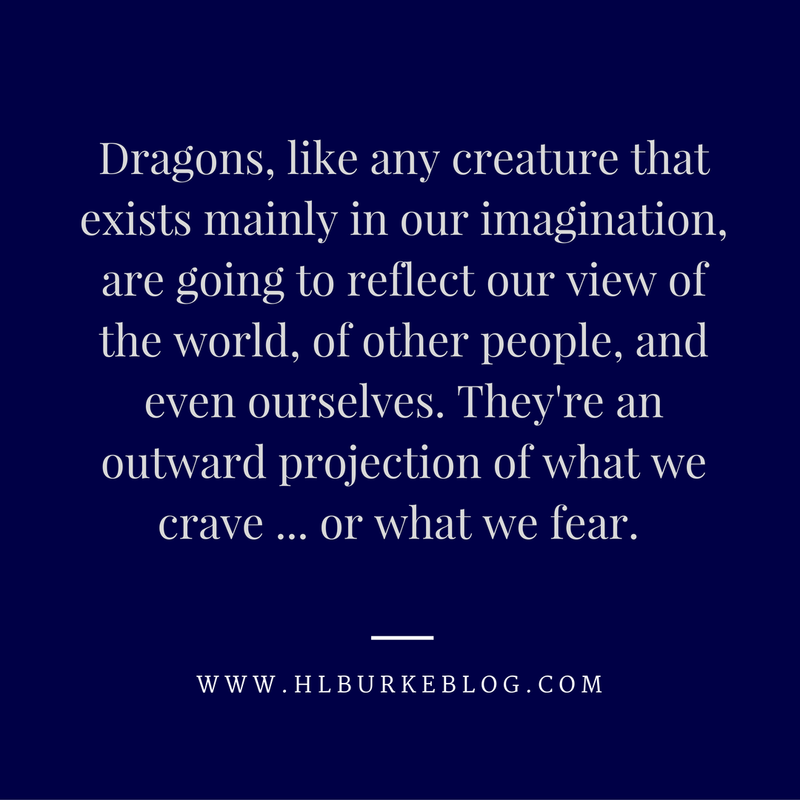 Dragons, like any creature that exists mainly in our imagination, are going to reflect our view of the world, of other people, and even ourselves. 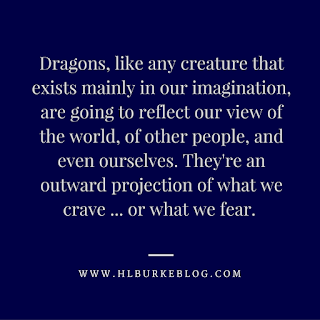 They're an outward projection of what we crave ... or what we fear. So those are three reasons why I think we've seen a shift away from the evil dragon. Honestly, none of them herald the end of morality. There are even some signs of positive growth (and it's easy to get on the "our generation is so much better than past generations" high horse ... I'm not saying we've really improved, just that we've traded in our old, well-worn faults for new shiny ones). A lot depends on your lore. If you have dragons as sentient beings it makes sense to have them have free will and the choice to be good or bad, just like humans. Tolkien's dragons were probably created by Morgoth in his toying around trying to corrupt nature, which makes them naturally inclined to be evil. 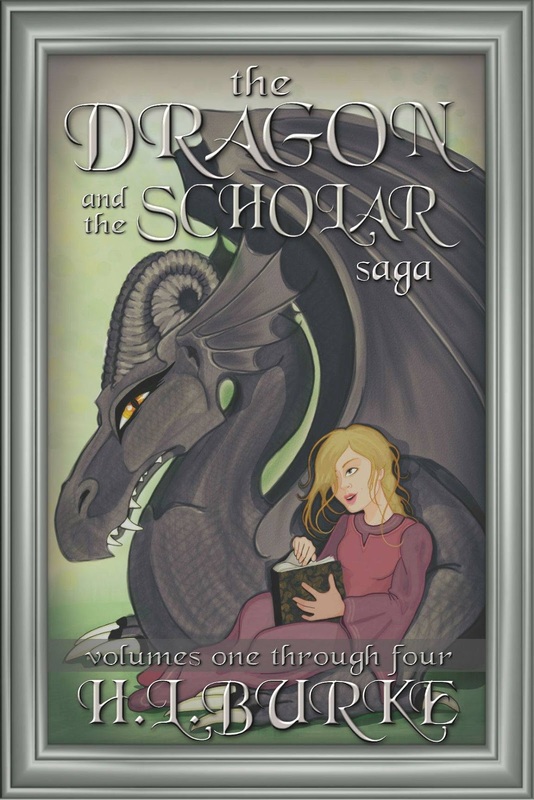 In Cora and the Nurse Dragons the dragons are clearly more like animals, with a complex social structure, but still animals ... then in the Dragon and the Scholar dragons are Feys who chose the form and that choice locked their ancestors into it. I went and read the blog you linked. I don't think it's fair that people get to quote Revelation to say that dragons are bad because OMG SATAN, but ignore Job 40 and 41, where Behemoth is chief in the ways of God, and Leviathan's fire-breathing terror is fearsome and memorable. If we're going to pick and choose Bible passages, let's be fair, right? yeah, I totally delete any article that "concerned family members" send me about the innate evil of dragons ... and yeah, I've gotten some sent to me before. Actually, I qualify in my post that I don't believe dragons must always represent evil. Most of my objection was to tame, domesticated dragons. I used the dragon figure as a launch pad for a post about consequences as reflected in literature. I would never paint with such a broad brush and say dragons must always represent the devil or can never be good. 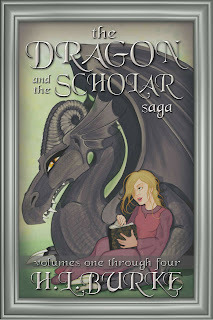 It's the overarching trend to cleanse all children's literature of truly evil creatures and choices with no permanent consequences that was the real topic of the post and I did qualify that not every dragon must be evil (although, I believe that to maintain the integrity of a dragon, they should usually not be tame.. 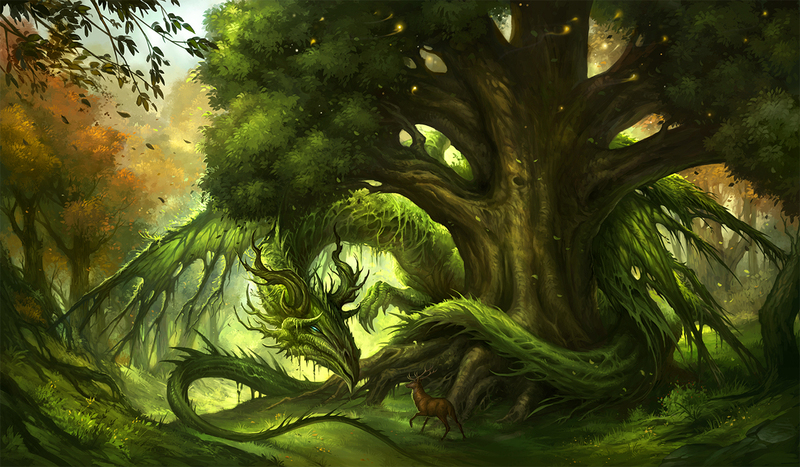 I think the idea of "integrity" really depends on the dragon's origin within the world. If the dragon is just an animal in the world, then most animals can be tamed eventually, with enough love and persistence. Even lions and tigers and bears. If the dragon is a Tolkienesque dragon, created by Morgoth by foul magic, then that's its lore and you should stick to it. If they are "sentient" creatures with human intelligence then you have a totally different take on things even from that. But I don't think dragons by their nature are not tame any more than any creature is. In fact, I think there's a powerful message to be had with love being able to tame the untame-able. So to me that's an author discretion thing. I suppose it's hard to communicate tongue-in-cheek through comments - I prefer my dragons undomesticated but I get why some feel taming them is attractive. Anyway, as I said, my post was about a larger topic than the nature of dragons. I like the way you write. I agree with your reasoning; not just the Biblical components, but the other reasons, too. Back in college I wrote a paper with similar thoughts over how aliens were portrayed in fiction. The shift from Superman and The Day the Earth Stood Still to Star Trek to Aliens & Independence Day - how just as we no longer fear nature the way we used to, we also have become more arrogant and self-assured. I read the article and while I think I get what she is trying to say, it's a little to blanketing of an argument and I disagree with aspects. No, I don't think we should gloss over consequences or sanitize everything to an extreme. But we also live in a different world and children don't grow up as quickly so their stories don't need to either. The gingerbread man escaping may be silly and pointless but it's not going to turn a generation of 6-year-olds into entitled brats. Their parents do that by spoiling them and never disciplining them. Not to mention, as Christians, there is no one who should understand the grace of a second chance better. Does life always give them? Of course not. And parents teach those lessons a hundred times more powerfully than Mother Goose does. But we've been offered the ultimate second chance - just like Peter and Edmund in the Narnia series. It's not the Gingerbread Man escaping that's important, it's what he does afterwards. I have read various versions of the Gingerbread Man, so I'm not sure what the original was, but the version I grew up with, where he did get eaten at the end, seemed to suggest that the Little Old Woman and Man were going to eat him anyway, so I don't think it quite got the same message across. Either way, the kid was probably going to be lunch. To me he was kind of an annoying character (with all the taunting and bragging), so not particularly sympathetic, and I kind of saw the fox as the hero because the fox managed to do with cunning what everyone else failed to do. But again, it's been told a LOT of different ways over time. lol - yes! I always hated the gingerbread man.